This takes you through the Ouysse and Alzou valleys, both noted for the beauty of their landscape and the quality of their natural habitats. 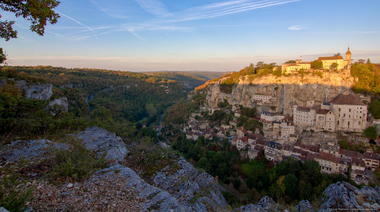 Then in Rocamadour, the spiritual dimension takes over from Nature as you descend the steep Way of the Cross. 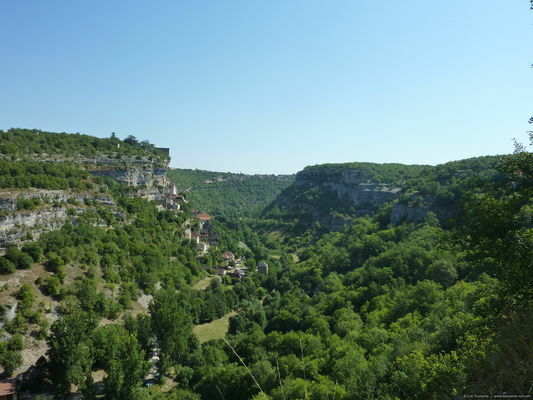 The cave opposite the St. Sauveur chasm is home to a bat colony. Sensitive to any disturbance, these animals choose their roosts according to the peacefulness of the place. In order to preserve their peace and quiet, some caves have been fitted with metal gates to limit access for people whilst allowng the bats to fly in and out. The gate of the St. Sauveur cave is open for part of the summer.